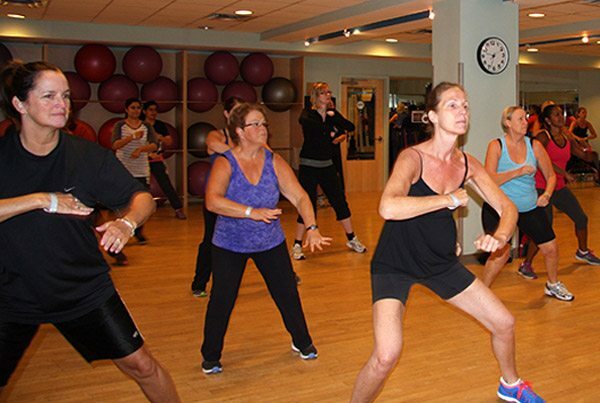 Small Group Training Classes at Pickering Fitness Center are Motivating! Our members love our Small Group Training program that was developed with a boutique feel in mind. It begins with our warrior licensed program TRIBE Team Training™, the foundation of our program featuring both a TribeFIT™ and TribeCORE™ option. Any small group training program wouldn’t be complete without incorporating some of the more popular offerings like TRX®, kettlebells and kickboxing programs. These small group, HIIT-style classes establish the opportunity to feel a sense of community and belonging, can be easily modified to suit your ability and will help you achieve results faster due to smaller class sizes. Ask about our first class FREE trial offer or check out our online schedule for class descriptions and times.